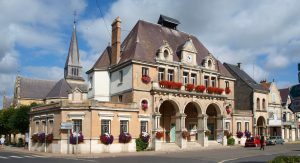 The Municipality of Attigny (Ville d’Attigny) develops various activities and services in order to improve the life of its inhabitants. The municipality promotes projects providing personal support for social inclusion, enhancing social links, developing sustainable touristic activities, international relations and communication. 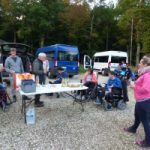 To achieve this, the Municipality of Attigny relies on the local non-profit organizations which propose various type of sport and leisure activities for youth, women and elderly people. In the town there are a leisure center, a library and a specialized care and activity center for people with physical disability. 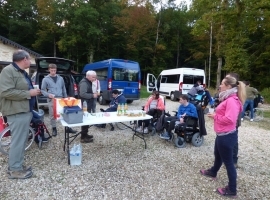 The purpose of EVS project in Attigny is to raise European awareness by developping activities with a European volunteer toward all the inhabitants. The volunteer will propose intercultural activities in the preschool of the town. He will also leads activities in the municipal Library and support the activities of the local non-profit organisation (social inclusion or leisure activities). Finally, any initiative to promote the home country of the volunteer will be encouraged. Attigny is a town of 1200 inhabitants. It is located in a rural area, in the department of Ardennes, next to the Belgian border. Volunteer is accommodated in a house of the organisation that also hosts EVS volunteers, Foyer La Baraudelle. For that reason, s/he lives together with other two volunteers in a house, the kitchen and the bathroom are shared but everybody has his/her own bedrooms. The house has all necessary equipment for living. So as to improve their capacity to move in the area, volunteers have the possibility to borrow a car during their free-time. During the first weeks volunteer has meals together with his/her housemates and the staff of Foyer la Baraudelle. Afterwards, money for the food is received. Radka from Czech Republic: Most of the time I spend in kindergarten where I work with small children (from 2 to 5 years old). I help teachers with the preparation and realization of educational and leisure activities. Together with kids we play games, I accompany them to the canteen etc. I also participate in a workshop of pottery. Sometimes I work during Saturdays to assist in the library with the preparation of creative workshop for children. I find my EVS a very interesting and useful experience through which I gain new skills and competencies. I enjoy working with children, they are very nice to me and we have a lot of fun together. Meanwhile, my colleagues at our school are very friendly, they are always ready to help if I need something. I also like our small village – it is nice and calm place to live. So, I think, I like everything of my project.